My hair during rainy/foggy weather conditions tends to get extremely frizzy. What is happening when my hair does this and how can I prevent this in the future? 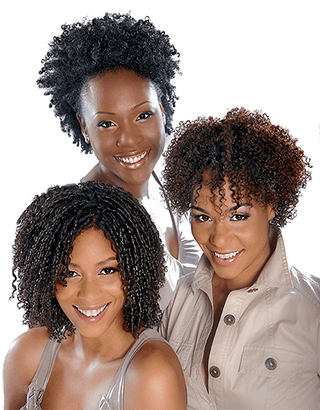 The question you pose is one that causes a great deal of frustration to women of all races, especially relevant to women with Black hair and thick naturally curly hair. The first thing I would like you to do is to go here. This will take you to a question where I talk about how hair is made and the different components that go into forming and making hair. I think you will find reading this information will be useful for a better understanding of the answer I am about to give. Now as you have read, hair is made up of protein, keratin protein to be exact. Another component of hair that I didn't mention before is moisture or "water". Water (moisture) accounts for about 8% of the total weight of our hair, this will vary a few percentage points depending on the relative humidity present, or how "moist" the air is around us, and the relative humidity is determined by the weather conditions on any given day as well as the geographical area where we reside. We can affect the form or shape that hair can take two ways. The first is a temporary means, through the application of heat by such implements as curling irons and hot combs or by wet setting the hair then going under a dyer or just naturally air drying the hair. The second way is a permanent one, through the application of chemicals to the hair such as relaxers or permanent waves. Both of these methods act upon different bonds that are found in hair, with the temporary method these bonds are called "hydrogen bonds" and with the permanent method these bonds are called "disulfide bonds". It is the temporary hydrogen bonds that are the cause of any problems you may be experiencing with frizzy or puffy hair. Here is how this happens; when your hair starts to frizz or become puffy what is taking place is that the moisture in the air around you, at it's worse when it is rainy, foggy or humid outside, is causing the cuticle layer on your hair open up. This moisture then enters into your hair where it is able to break the temporary hydrogen bonds, that were holding your hair in any given style (usually a straight one), causing your hair try to revert to its natural state. I know there are people who are reading this and are saying I don't wet set or press my hair, and this may even include you Kim, and my hair still frizzes. For these people I want you to realize that when you naturally air dry your hair the weight of the wet hair does cause a form to take place or even when you just blow dry or diffuse your hair you are still causing a "set" to take place albeit a natural formless one in both instances. So that when you leave your home, or any other place, and go outside and there exists a higher relative humidity level brought about by a change weather conditions such as rain or fog, these hydrogen bonds are broken and a change in your style takes place. This is an unwanted change that you are seeing as frizzing and puffing. I also want to mention that even when it is not foggy or rainy out and you leave your home your hair may start to frizz, this is most noticeable when you are leave an air conditioned environment. It is the breaking of the hydrogen bonds that is the cause and this will always happen whenever you go from one area to another if there is a difference in the relative humidity levels present between the two. This is also true in reverse, that if you style your hair at home, have all the windows open, and the relative humidity is about the same inside your house as outside and go to work where there is air conditioning. Your hair may now start to become frizzy as it loses moisture to your dryer office environment, although not to the same extent I find as the former example I gave. It's moisture moving not only in but also out of your hair that can cause the breaking of hydrogen bonds, and the result for some people is also frizzing. What to do? You have to put a barrier on your hair to stop or impede this exchange or moisture. This is the only really effective way I have found to help stop the frizzies. By far the most effective of these type of products are the new technology silicone based products such as Kerasoft Glosify Hair Polish. These products will seal and protect your hair as well as add shine for an overall improvement in the condition or your hair. My hairdresser has been using a no-lye relaxer on my hair for two years. I am having problems with dry looking hair but did not know the reason, nor did she. I have just learned the no-lye can cause dry looking hair. Can I switch to a sodium hydroxide "lye" based relaxer for my next touch-up without having breakage problems? We have been converting new clients with no-lye relaxer in their hair for many years with great success. However, occasionally some clients do experience some breakage. I am not talking about major breakage but saying that some people notice a little more hair than usual coming out, which soon abates. Although in the same chemical family, I find that no-lye relaxers tend to behave on the hair more like a thio based relaxer does, leaving the hair somewhat dry and dull looking. While not true for all people the information I try to give in my answers in all instances applies to the majority of situations. The most important step your stylist should take to minimize any potential problems is by using a protein based process filler, which should be applied to where the old, your previously relaxed hair, meets the new growth. If this is done and your hair has not been previously taken bone straight you should be fine. 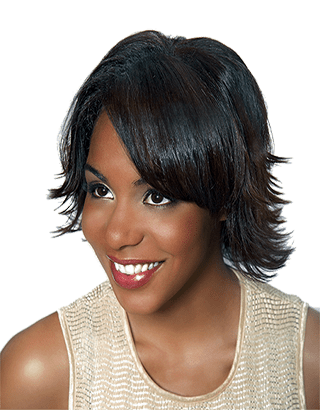 How we handle people with bone straight hair and that are having breakage, dryness or brittleness problems is although we don't use no-lye relaxers in our salon some people's hair is in a such a state that it can't be immediately converted. For these few people we ask that they bring in or we will purchase for them the no-lye relaxer that they are currently using and start to slowly leave a little more texture (which is crucial since this texture equals strength) in the hair each time we do a touch-up using the no-lye relaxer. For hair that is in this fragile state it is important that you do not leave too much texture all at once. If you leave too great a texture difference in the hair your will start to have breakage where the old meets the new from the large differences in texture between the two, which results in friction, which leads to breakage. Then in the future it is a matter of knowing through experience when it is time to convert them. I would also recommend that you protein fill your hair every four months or until all of the old no-lye relaxer is no longer on your head. I can only afford to wash & set my hair every two weeks at the salon. After three days all of the volume is gone, what can I do to keep my hair looking great longer. The single most important thing you can do is not to take your hair bone straight. As mentioned elsewhere in our site and I will continue to mention, you do not have commit to our "Wash & Wear Relaxer™" process, just start to leave or have your stylist leave a little more texture in your hair when relaxing. This extra texture in Black hair is extremely important because it will leave more cohesive bonds intact in your hair which are critical to strength and to supporting a finished style for longer periods of time. Moreover, for your hair to have more life and body and bounce in it, you require this texture. My hair is relaxed and is breaking. What causes relaxed hair to break and do you have any tips on how I can speed up the growing process? The vast majority of the questions I most often get asked on Black hair care have some sort of breakage problem involved, and a great percentage of those involve a relaxer. So to answer your question, lets first start by talking about how our hair is made. Each hair on our head is produced inside its own individual follicle, which is located just beneath the surface of the scalp. This follicle is a complex biosynthesis unit that takes in from the small veins in your scalp amino acids and polypeptides and assembles them into a soft protein. This soft protein is then separated into specialized cells which will eventually make up the fibrils and matrix of the hair's cortex and the scale like cells of its outer cuticle layer. As these parts are assembled and move toward the surface they become hardened or "keratinized" and come out of the opening of the follicle as the dead protein keratin structure we call hair. 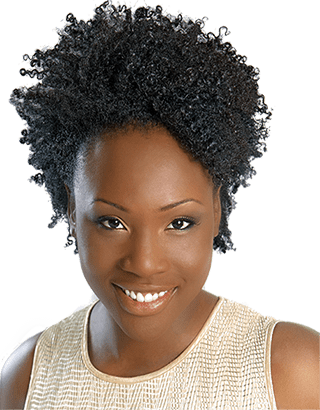 Afro textured hair as it comes out from the follicle and is keratinized is formed into an irregular elliptical shape in cross section that most experts agree is responsible for the way this type of hair grows into tight coils instead of straight. The rounder the cross section of the hair as it emerges from the follicle, the straighter it grows, with the very straightest being Asian type hair. The hair we see is made up three parts, the outside or the cuticle layer which resemble fish scales or the shingles on a roof and there are as many as 15 or as little as 2 layers on top of each other. The cortex, which makes up the main mass of the hair and is responsible for its elasticity, strength and contains the pigment particles that give hair its colour. It is in this area that any chemicals applied to hair perform most of their transformation action. The cortex is comprised of thousands of fibrils and these fibrils can best be described as rope like, in that each fibril is made of many smaller fibers twisted around one another. Finally, there is the medulla at the center of the hair shaft. This is a hollow area and not everyone's hair has a medulla and it is generally thought of as functionally unimportant. Now as this hair grows many things are done to it, the most common being is just to cut it. After that the most frequent choice people make to alter their hair's appearance are chemical services such as colouring or perming. People chose to do these kinds of services for a vast variety of reasons, the most common of which, in my opinion, is just a personal fashion choice. So now we have ended up with virgin hair that we have decided to do a relaxing service to, the most common chemical service done on Black hair. To make this next part as easy to understand as possible I will use a 1 - 10 scale, with 1 being virgin hair that is well looked after and in good condition and 10 being dry, brittle, severely damaged hair with extreme breakage problems. When a relaxer is done on virgin hair, the hair can be taken to anywhere from a 2 on the scale, to a 10 on the scale. This applies for every time you re-relax the hair or do a "touch-up" service in the future. Where you end up - and I can't repeat this enough - is entirely dependent on the skill and experience of the person doing the relaxing service. I've seen instances of where on their very first relaxer, almost always done by a friend or themselves, people have gone straight to 10. A professional hair stylist's job is to use her skills and experience to consistently move you no further along the scale than is absolutely necessary in accomplishing her job. Part of the reason that Wash & Wear Relaxer™ came about was because of my very firm belief that taking hair to a bone straight state, absolutely takes a client further along the scale than I was happy with and that by leaving texture in the hair it was stronger, healthier and has much more body to support a finished style for a longer period of time. Even if our Wash & Wear Relaxer™ isn't for you and want your hair very straight, hair should not ever in my opinion be taken past 95% if bone straight equals 100%. The exception to this is short hair that is wrapped, this can be and should be taken bone straight since ending up with length will not be a concern. Hair isn't complicated it's like anything else - abuse, neglect and mishandle it and it will break or wear out. More often than I would like to say, I see people who are seriously abusing their hair and then wonder why it's breaking. Next, let's talk about exactly how a relaxer works. When applied, the relaxer swells the hair and the relaxer enters the cortex area causing irreversible changes. Once in the cortex the relaxers' job is to permanently break the cohesive disulfide bonds found there that hold the hair together. As these bonds are progressively broken a loosening of the curl pattern of the hair takes place, until the desired texture is achieved. The more bonds that are broken the further along the scale you move as these bonds are responsible for the hair's strength - its that simple. So when hair is over processed the relaxer has been allowed to process too long, which breaks much too many of the bonds that hold the hair together as a cohesive unit. There then is just nothing left inside to keep the hair together, intact and whole. That is what happens when hair is over-processed with a relaxer. Then you add on hot curling and blow drying, improper brushing or combing, improper shampooing and conditioning techniques, poor choices in hair care products and especially colouring relaxed hair with improper procedures, it doesn't take long to push your hair over into the breakage zone. Now very little stress of any kind to the hair will cause breakage, which sometimes can be quite severe. For people who relax their hair and are experiencing breakage problems, this is the sequence of events that usually leads up to their hair coming off. Occasionally I also get asked by people how they can ensure that their hair isn't being over-processed. My response is usually to find a good professional stylist. One critical choice a good professional hairstylist will make in relaxing your hair, is to use their experience and skills in the amount of processing time required as well adjusting the amount of relaxer she uses on different areas of your head. Some people experience breakage because their hair is all processed the same with regards to processing time and amounts of relaxer applied. When the fact of the matter is a that many people have texture and diameter of hair differences present on their head. This means if the same amount of relaxer and processing time is done to the whole head, for someone this applies to, some areas may end up being under-processed, some processed correctly and some over-processed. If you are experiencing breakage in specific areas of your head with no reasonable explanation, this could be a cause. A good stylist will compensate for any differences present to ensure the whole head is processed evenly to the same level. Look, the fact of the matter is that in any trade or profession some people are just simply much better at what they do than others, sometimes by great degrees. The main reasons for this I find is; a natural talent and aptitude for their work, their experience and technical skills level, and a thirst for education; to gain as much knowledge of their field as possible in all areas, which never ends even after many years in business. When these factors meet up in an individual, you have a person that is truly exceptional at what they do. To recognize this in a hair stylist - their work has to speak for itself - an example of this is when you are out anywhere and take notice someone and say to yourself, "wow her hair looks terrific". Go and ask her "who does your hair". Then book a consultation with that person. When you visit their salon and also notice a.) the clients there have great looking healthy hair, this is the truest test of all, b.) their appointment book is full c.) they conduct themselves and their business in a professional manner. You have found the best indicators for someone that should probably be doing your hair. A good professional stylist will make a world of difference in your hair's health and condition. As for what can make you hair grow faster. Nothing that I am aware of at this time can, however, you can ensure a better quality of hair being produced by your body by having a well balanced, healthy diet. Products that make "fast or super growth" claims are not to be believed. Our rate of hair growth is governed by genetics and is typically for most people about 1/4" - 1/2" of new growth a month. 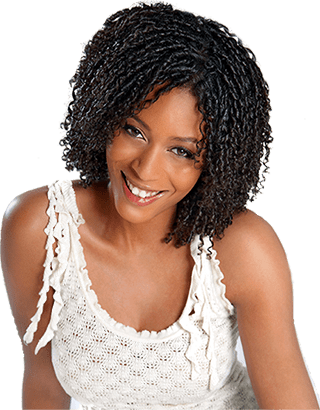 People are sometimes under the mistaken impression that their hair doesn't grow and that most often is a result of breakage causing hair to appear like there is no growth taking place. If you follow a consistent hair care program with the guidance of a skilled hair professional, I guarantee your will see positive results. Reevaluate your hair care regimen, everything from who's doing your hair to the products you are using on it. Take the time to go through our site and hopefully you will find some tips and suggestions here that will help you get your hair back on track and in a healthier state.